- Portals - Naturopathie quantique, accompagnement au changement de nutrition. In the path of belief, it does not matter where we go or what we do, we find at the end of it that we all believe in one thing: man up to now has never been given the confidence that his inner being is the source of his own creation of the new dimension. And in so many ways as we go over the past teachings of few weeks, we understand that even the physicality of the man from the dimension of the universe is the dimension of existence of the universe itself. The structure of the physicality of the body of man is more or less is another galaxy. The soul is the sun in the center and the rest of the stars and moons and the dust in that process are part of this universe. 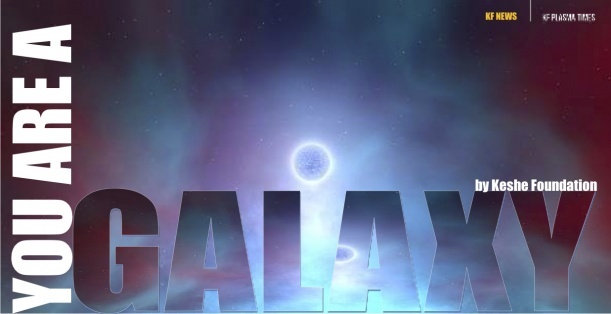 If you look at it, in the solar system we have the Earth, the Sun, Jupiter and galaxies are of the same things so the body of the man as a galaxy has the liver, the kidney, the heart, all positioned in different places in the structure of it. As we said micro is like macro and everything is the same. What we have taught in the past couple of years and especially this year we can sum it up. We came towards one direction, we came towards in the unification of the soul of the man that we are all together unified as one soul. Collectively we make the soul of the creator and each one of us has a position in that structure of the life of the universe. We appear in different shapes or forms as planets, humans, animals, other creatures in the universe but in all, we are part of that body. We are as the energy of the cell of a heart and then as the cycle of life of the cell finishes we become another part of the cell of the liver or we move to another dimension outside the body of the man, but we still exist nothing ever diminishes. The conservation of the Unified Field Theory confirms the existence of the life of the creator and not the man and this is a very important point for us to understand. In the past year, past 12 months, we have moved a lot. We have moved the understanding and the revelation of the truth about the man by thousands of years in past year. Understanding the position of the soul of man, understanding the operation of the soul in the dimension of physicality. 2018 has been closure for the past knowledge, for a past life of man on this planet and as has been promised will be the year of glorious time for humankind. A lot of things have happened, and we learn from it. A lot of things will happen that we will come to learn from. There are several things which have happened in the past year and especially how we see it, how we do it and how we did things. Now we know the soul of the man is part of the body of the man, now we know the soul of the man is part of the soul of the Creator, now we know the totality of the whole life… what is going to happen with us, what we have understood and what will affect us it will be amazing. How we progress will be more different than what we had up to now. “It is time for a change, to move into the real work of the universe. And it is time to understand that we use the matter state to reach the level of understanding of the soul of the man. Now you understand, maybe, why the creator has sent his messengers in the name of whatever you have had, is that they bring the ears, that it can be used when the time of the messiah comes. They can teach the soul and the message not to oppose. But by them understanding through those who have become messiahs to give from their souls to these to elevate, the job is made easy. The school is there, and the students are devotedly there. Then there won't be any fight between what they call the Muslims and the Christians. The lamb and the lion will eat and sleep in the same nest. The Christians and the Muslims will sleep and pray in a mosque, then the same church, in the name of their souls, not in the name of religion that is used to create so much conflict, for the benefit of those who were the hyper active children. The time has come. The time of change is here. And as I said, my wish is my command. If it is your wish to see peace, path of peace is made very clearly. It is the soul of collective awareness by giving, will create a position of change. No other thing. There is no pen in the soul of the man. And I am sure once you go into the Universal Community, you will never see anything written but the balance of the fields of the soul of the existence. Try to be humble enough not to become arrogant in the power that you have understood, and you possess. Otherwise, you will fall in the same path of the church and mosque. This is what we promised. And this is what we have delivered. We have to understand the operation of the soul, and we have to understand the soul of the man is a star in the cosmos of the universe. If we compare the soul of the man and many of us, seven billion, in one collection, Earth is like a galaxy with so many stars. When we look in the depth of the universe, we see galaxies with hundreds of millions of stars in it. So is the planet Earth. Carries seven billion beautiful stars, which are the soul of the man. Carries with it soul of so many trillions of animals, plants, and everything else. So, if you look, when someone who does not see the physicality of the Earth and its content, what do they see? They see a galaxy, with so many beautiful lights shining, each one according to their strength, each one according to their position. An infant has a beautiful soul. So, has the old man. To those who do not see the physical dimension of this planet, but they see the strength of the fields, we are clusters of stars. The human race, every single soul, no one from a distance sees that is the soul of a fisherman, that is the soul of the cosmologist, that is the soul of a president. They all shine irrespective of their physicality. This is the magic. This is what the new science has to bring to man. When we look through our soul we see nothing but the star in the other souls. And this is the break. This is the understanding. This is what all these teachings are about. Coming to mature to the next level, to understand in the deep space. The universe is the oyster for those souls who serve. Then man is ready to go into space. Then man is ready to become part of the Universal Community which has been promised. I never promised you heaven. I always promised you the elevation of the man to join the family. And now you have the key. It is you who has to open the door to understand if I can raise the soul of these people or millions of other souls, that the physical life on this planet changes, then I'm worthy to be part of the Universal Community. To be there to serve, to expand, to be there, to be part. That, in the cycle of life of universe, I become, in being part, I become part of the totality. When man reaches that point, a new dimension in the strength of the soul of the man will appear, which is beyond imagination of understanding of the physical life. It is the gate to the opening of the new life in a new dimension, which is beyond imagination or what you might call a new beginning, a new cycle. Which that cycle carries with itself the origin of the creation of life in the universe and the Unicos. It is the elevation of the soul to serve become the key not a throne of the physical life. The time is right. The time has come for the man to go through this process. 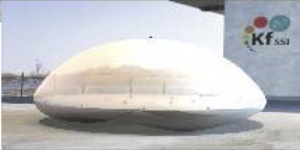 The first portal which is being promised to the Chinese will have a diameter of around ten meters. “If you go back to my teachings I have spoken many times about it. Now physically we deliver systems which create this condition. What this means if you remember we certainly make a fish tank that allows the condition of life for other members of the Universal Community to manifest themselves. 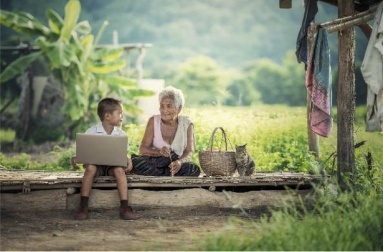 This is not going to be an easy job; the technology has been developed by the Keshe Foundation in parts, that now it can become collectively as one.“ Within 2019 we will establish the first line of communication through the new technology. “I have managed to make a compromise between the two sides of the man in the space. It has not been easy. Teaching in the depth of man to complete his knowledge in the matter states, taking him through the transition, but in the same time giving guarantees and assuring those of the Universal Community that these are not disobedient children they are just not mature enough. I have not overridden the Universal Community Council, but I have shown them there is always hope for different races in the universe. The persistence of teaching man has not been easy. People are hungry for change, people are hungry for a new dimension. Why we decided to participate, not to interfere was because the knowledge of man in the matter state was becoming too scattered in too many different directions from the same thing. It had to be brought up to a focus and then to develop. Very much how you meet in management meetings, the soul of the Universal Coordinators, we are meant as Universal Messengers, it is the same. Everything is considered for the betterment unconditionally. We always guessed. This time it will be for us to join the Universal Community. We will see the members of the parties at least. As we make these portals. the gateways to the Universal Community, we are allowed to interact within a confined space where we feel safe and they feel safe. We create a condition of manifestation of those who are in touch with us, have been among us, but this time in an orderly manner. If you look in the totality of the six nations, it will represent more than 50% of the world population which gives us a majority but then the decisions have to be made on the other space and dimensions. The portal is for understanding the work of the universe and writing the peace treaty as part of the life of this planet. We have to understand the totality of the work and to understand what changes will bring to every single citizen of this planet. It is not any more to show GANSes, Magrav units or Power units, but it is to plan for the future that the entire human race simultaneously and collectively understands. “We respect the nation of China and I have spent a lot of time in the past couple of years to make sure the ground for such a meeting is set. What does this mean? 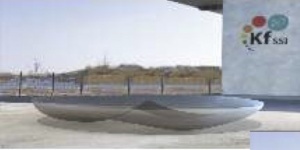 The clean and correct the environment for the creation of portals. What does it mean that we meet in that condition? The members of the Earth Council will be present at every point of these interactions. It becomes the responsibility of these Six Nations to confer and confirm on their citizens that they are all one, irrespective of what we see. Let us look at the beauty of our path of beliefs and not what creates separation and conflict. The universal community will make facilitate the release of new knowledge to mankind. “This has been agreed upon. It means we start teaching the knowledge of the universe to the totality of the human race. There are those who have come with me and are part of my soul they will become the teachers of the coming time. What do we expect from the interaction of these portals? Very simple. In time, when the man builds the right environment for manifestation and confirmation of the souls of those of the Universal Community, we might possibly see a physical interaction. That depends on how safe the members of the Universal Community feel to share with humanity their knowledge of given part which is theirs. “This brings us to one point the commitment to the spaceship conference and then following with One Belt, One Road of the President Xi of China will force us in one direction: the end of production of arms and financing what we call the peace activities.” The technology is offered by the Keshe Foundation that can support such a movement. In 2019 we will see the first interactions of mankind with the outside depending on how the world leaders and the nation of six will interact and share. The knowledge of the man up to now has been on the matter level and in the past when we see with the structures like pyramid or other dimensions, different cultures of the universe have played different game with mankind trying to teach them sometimes a new dimension, but overall man has never achieved this and the creation of these portals will help us achieve it. The Chinese portal and portals in other five nations must be the decision of how much humankind wants to do and wants to learn. All the portals will not be at the same strength, but they will be at different strength that collectively we see the totality of the structure of most of the universe. “I am looking forward to the portals, it is something I worked for a long time on this planet. The reason we open this portal is to take away the mysticism of masters and prophets. You hear the voice of the soul not the physicality of the dimension. This will change a lot of people creating mysticisms and other things and Buddha's and Mohammad and the rest. The creation of these new portals will be the testing ground for humanity. It will be a new beginning. Interface and interaction with the human race, it would take a new dimension. 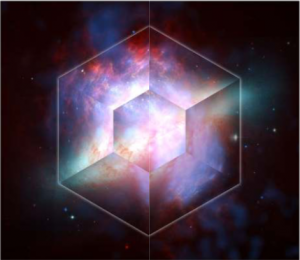 Portals which we create, everything will be prearranged, pre-agreed between Universal Community and members of the Keshe Foundation and then it will be released to the world leaders and the six members of the spaceship program. “We are not controllers, we are facilitators”. 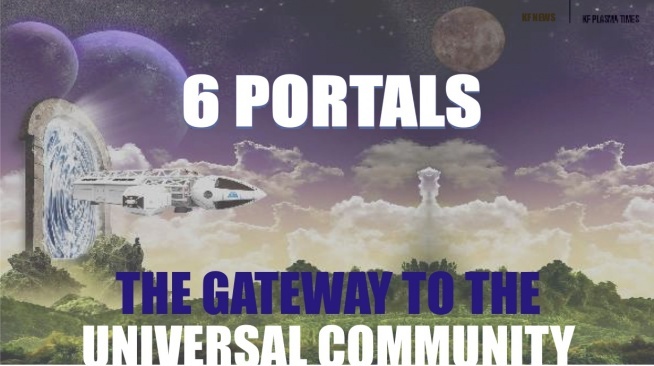 In opening the portals, the members of the Universal Community do not speak Farsi, English, Chinese or any other language. We will see the communication and enlightenment on the level of the soul of the man; and how hungry the soul is, to be able to receive. Through receiving it can share on its level of its understanding. We will not hear the voice of the members of the Universal Community. “We learn and will be taught and will be communicated to the level of the soul and then the members of the Universal Council in understanding the level of understanding of the soul of the man in the language which is part of theirs will share that through the souls of that language. That is why the Universal Council was set. 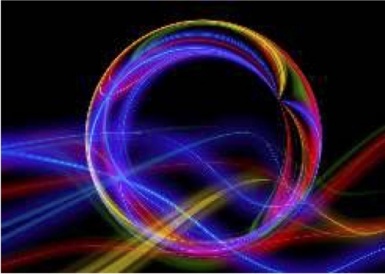 Running in six nations the six portals and Universal Council members have to be aware of all the communications at the same time it brings a new dimension to understanding and positions one soul in respect to the others. “There is a lot of celebration in the Universal Community about what is going to be achieved and at last, we can bring this family back into order and back as part of the Universal Community. There is a lot of beauty with the Earth and human being, but they have not appreciated it, they use it the wrong way. One of the beautiful things with the human race is loving and being loved and this is a very precious thing in the universe. 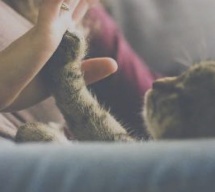 Love has been learned from human and that is what I tell people, they do not understand. I have come here to enjoy the beauty and the love of this planet. It is one of not uniqueness but very rare things in the universe the way mankind loves. With the setting of the Six Nations Portal System, we do not make the knowledge exclusivity to one that can hold one to the ransom of the others. Each nation will open understanding of the dimension of one part of the universe, that is why we split it. And then collectively they share. When one university becomes expert in mathematics and one in medicine then they have to work together. In so many ways the teachers of the universe decide what subjects are taught and shared with the man in different paths that collectively they are sharing with the rest of humanity and completes the mosaic. It is not given totally to the Chinese or to the Brazilians or to the Iranians. Each one according to their culture understands part of the universal work and in that process, each one will share with the others to complete the understanding. Man will be busy so much with teaching itself the new knowledge and the new dimension that man will not have time to make the tools of war. Now you understand what everything has been happening and how it's been happening in the past few years. All the resources of nations to develop the space technology will be collective, not individually. On the other hand, we have to understand what the implication of such a development and such a move are. When we make one nation, one group, as spaceship program with China, Brazil, Unites States, Russia, India, Iran, as one group it means in that process these nations, see the totality, understand the need for one nation as the borders will have no boundaries on the physical dimension. As we started the teaching of the medical professionals and the agriculture separately, we will start teaching the spaceship program in the fast dimensions of the governmental support guaranteed programs, which means that national scientists will commit to it, will take a new dimension of sharing knowledge and then this group has to decide how the knowledge will be passed on to the rest of human race. The request from the Universal Community is for most of the communications to be live, that it is seen by the totality of the human race. This part needs to be seen. If you remember some few years ago I spent three months teaching the basic of the knowledge in Trani in the beautiful nation of Italy. I go back to three months of solid teaching to the six space agencies which means I will teach the age of knowledge of the universe to these scientists. Those will become the cornerstones of the spaceship program: the unification of mankind. If you look the pieces are all there, the teaching sits with doctor Gatua in Africa, the life sits with Giovanni in Italy, we see the understanding of the soul and operation of its physicality with Jon in Arizona, we saw the dimension direction of the non-physicality through the speed and motion with the research center in Austria. We've seen the patience of man bringing the understanding of the emotion of the man with the Chinese community. The Keshe Foundation headquarters will move to a permanent position that will allow us to do the work we committed to. 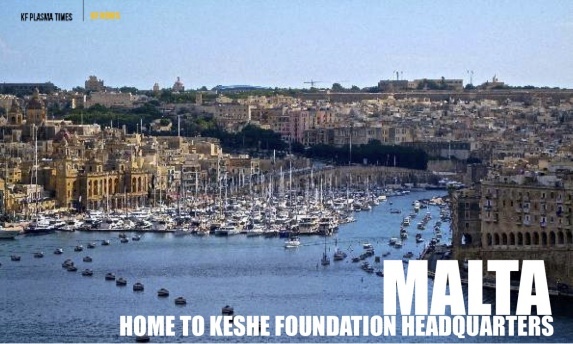 The management of the Keshe Foundation will move into the nation of Malta. We build an operational headquarters in the island, as it is the mixture of the understanding of three continents of Africa, Europe, and Asia. 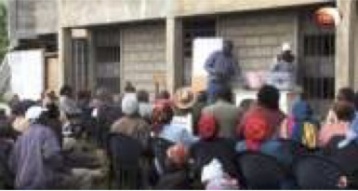 This allows us to build a solid center with the support of all the Keshe Foundation supporters. 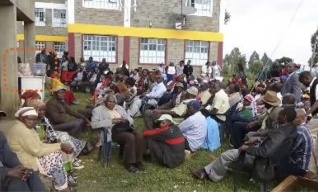 The development and the teaching of the Keshe Foundation will take shape in the coming year. It is the headquarters of the Keshe Foundation with which comes the Universal Council and the Earth Council. It has a port, it does not have a land lock that the nations can block you to reach. It was chosen on several merits, it has a small population, a peaceful nation, it is geologically stable, politically very stable. “I was in Malta very recently with the Maltese Keshe Foundation. They thought I am there to see what was organized to do with the government, we did what we went to do, but it was initially to understand the soul of the island.” It is chosen because of the security. It is chosen because of its openness into the oceans. It has a deep inherited culture, it understands the culture of Africa, Europe and Asia. It understands the culture of the Christianity, Muslims and Jews. The structure of Malta, the position of Malta is safe enough from a lot of geological problems like hurricanes, earthquakes and typhoons and a lot of other things which gives us stability to hold the councils meeting. Many of you see patches of work and do not see the totality of the patchwork. We see, we know what we developed, we know where we sit and how the Keshe Foundation became the seeds but not the totality of it. In this respect, we have called for the meeting of China, Iran, United States, Russia, Brazil, and India space programs in Beijing. We foresee the meeting according to what is arranged with the Universal Community, around 8th or 9th of March of this year. This will allow all the space agencies with the support of the Chinese government on the back of One Belt, One Road to meet in China, which means we start a collective One Nation Space Program. We would like it to be as a time chosen by the members of the Universal Community. decades. Now we give you the room to become part of the International Organization. Indians understand the space program in a different dimension and the Chinese add the totality of these nations, it brings balance to understanding the total culture of the human race. The requests for establishment of a meeting in China of the space programs will be made through the Keshe Foundation in conjunction with the Chinese government officials, it is an official program. “It is not just a conference of the space technology people, but it is a conference of planning the future of humanity using the space as a new way of employment. We replace the old with new we do not bring hope, but we bring the knowledge. This has taken us a long time to plan and to execute but we had to bring a lot of people to the maturity of understanding the time, the place and the knowledge. KBC Channel 1 is one of the leading broadcasts TV stations from Kenya with the aim is to promote the value and culture of the country. 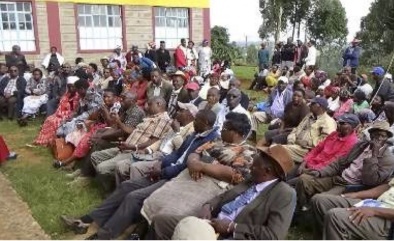 Recently the media has turned its attention towards the teachings that Dr. Gatua wa Mbugwa, Universal Council member for Gikuyu language, freely delivers to Kenyan community. “We learn how trees harvest or capture CO2, carbon from the environment — and we do the same. If you have a wound, which is a septic wound caused by a bacteria, bacteria is made of the same plasma, it is plasmatic. So the stronger plasma in terms of magnetic gravitational fields give to the weaker and then there is a balance. That in effect means that bacteria may still be in there but it is ineffective ” Dr. Gatua responded to the interviewer. There are hundreds of people travelling each week to the place of teachings with the open heart to listen, learn and understand how to apply the knowledge by themselves. Not only that the classes are free for everyone to join, but at the end of each teaching, nobody leaves empty handed. They all receive plasma water to which many have attested for its effects in various applications. “I believe you have taught us exactly how to do it. It is using the new ethos, Keshe Foundation ethos, that we are here to serve and not to be served. 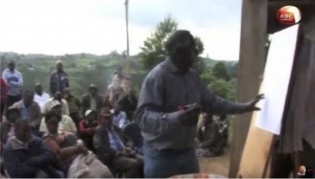 What I have done in Kenya is establish a group of participants and before that I used to give my liquid plasma that I made at home, freely, to a lot of people. They saw the effectiveness of that liquid plasma, CO2, CH3, ZnO. And I would teach them freely, without charging them. So when I started a group, I taught… we started with 14 participants. In the following week more came; soon we were teaching hundreds. “They have come from various places, after learning through word of mouth. 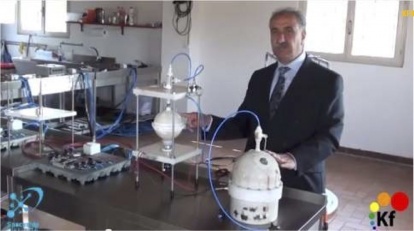 When we give this liquid plasma freely to people; in fact we made 1000 liters at this place where we teach. So when we have about 300 people in attendance that means at least each one can carry 3 liters. But now, those I have taught, because I started this group in January 2018 they do not necessarily need to carry from this center because they can make theirs. In fact, when I begin teaching they come with their GANS that they have made at home so I tell them — they ask me: Is this correct? Is this good? - and I tell them based on the color . It has just grown by word of mouth. We started getting participants from far away places in Kenya, as far north as Lodwar which borders Sudan, we have one making GANSes there. We have people along the coasts, who also make their own. We have people all over the country. We teach freely, we do not charge a thing and through the word of mouth people tell what they have seen, what they feel, how their health has improved, how they are using it for agriculture, so they just come. Now with the latest advertisement in the national television station, Kenya broadcasting television which interviewed us last week we expect to grow even more, maybe we will have thousands. And when they ask I say: Come! You are all welcomed. So that is the progress I have made. What has worked is the effectiveness of the liquid plasma that we share and the fact that I show them how to do it themselves. Instead of giving them fish, I show them how to fish. This is exactly what has helped grow this movement. Once they realize we are serious, we do not charge them anything, we want them to learn they come. And basically I know that can be done anywhere! Thank you very much, Dr. Gatua, for all the inspiring work you are doing to share the knowledge. How to learn effectively? How to teach effectively? These are two very common questions asked by the academia. Both, teachers and students, come to the traditional or virtual classrooms and share common interest – to teach and be taught effectively and efficiently. There is no silver bullet to this dilemma, however if one looks at the older and recent studies (https://www.linkedin.com/pulse/20140313205730-5711504-the-science-behind-ted-s-18-minute-rule/), research done in this space suggests that the shorter the better. Frequently, figures between 10-15min appear in many of such studies as the reported average attention span. Moreover, if we look at the frequently shared and viewed content on the social media and YouTube, videos that are short attract far more attention than lengthy videos. The Keshe Foundation Spaceship Institute (KF SSI) Education team listens to the feedback from students, teachers and recent discoveries from the world of science. Short attention span, self-directed learning, lack of time, listening on-the-go are all important factors which influence the learning experience. To help student and teachers of the KF SSI, we propose a new teaching format to be followed in the first trimester of the new academic year, starting on the 14th of January 2019. We believe that students will greatly benefit from it and at the same time it makes the life of the teacher easier. So, what is the new format? Before we get onto this, let’s do not forget that every teacher is different and some like to follow their own way and style of teaching. Are all the flowers the same? No! Diversity is beauty, and we always welcome those who want to teach differently from what we are recommending. For those who do want to try something different, here is the new way explained in simple terms. Every lecture is composed of two parts: teaching and questions and answers (Q&A). Teaching is to be short and concise with a clear title of what is covered and lasts no longer than 20min. During these 20min you can either present your PowerPoint presentation (no longer than 20 slides) or play video recordings of past private or public teachings to discuss, or both. If you go for the video playback, the KF SSI Education team will do their best to help you find the content you are after. One suggestion is to, prior to the teaching, open the selected topic of teaching in various Zoom groups such as Teachers Channel, Health/Agriculture Channel, KF Wiki Channel and student channels (also extending to Facebook groups) and ask participants of these groups to suggest private/public teachings and other materials (articles, animations, other resources) on the topic. In this way all the Knowledge Seekers can contribute with their expertise of the field. You don’t need to stick to one recording but can present a number of them, which are on the topic of interest. You can then discuss the video(s) using the Whiteboard or the Annotate feature of the Zoom platform or follow up with a PowerPoint or any other presentation - but please keep all of it to 20min maximum. Alternatively, you can choose to present entirely by yourself without the aid of the past teachings by Mr. Keshe. If this is the case, simply put together a maximum of 20 slides. When doing so, please remember to reference any materials you used to prepare it, so that students can follow up on these if interested. The final part of any way of teaching are the Q&A. We wish for our students to be interactive and have an opportunity to express their views, opinions and understanding. Teachers are there to answer these and if they don’t have an answer, others present may do. Q&A has no time limit, other than the two-hour mark which usually ends the class. Teachers are warmly encouraged to translate and give their teachings in their language groups. Having short teaching content, makes it easier for teachers to bring the teaching into their private language groups. Even if this involves video transcription, the task is fairly short. Not all the Knowledge Seekers speak English, yet this should not prevent them from accessing the teachings. Teachers are also encouraged to turn their presentations into the Plasma Scientific Journal or KF Plasma Times article submissions. Please consider pairing up with students (and other Knowledge Seekers) who can help you with this task, if you are planning on publishing your work. A list of teaching topics is circulated amongst those expressing interest to teach. Of course, teachers can choose their own topics that they feel comfortable in teaching. Teachers get in touch with the KF SSI Education team with their topic(s) and availability to teach. Teachers are provided with a timeslot, a PowerPoint template and technical assistance to help them in the process of preparing/locating content - if necessary. Already identified educational assets, in the form of animations and past presentations or other resources to aid their teaching, will also be communicated to the teachers upon committing to teaching the topic. One can teach by summarizing the topic, extending the topic, linking different parts of (different) teachings, or by bringing a new understanding from other sciences. Teachers and the Education team can also involve other Knowledge Seekers to help them locate the desired content. Teaching takes place within the agreed timeslot. 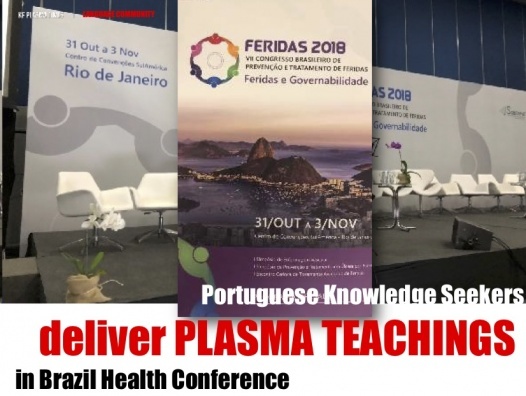 Teachers can teach the same topic in their language communities and also publish it as either a scientific paper (in the Plasma Scientific Journal - if they are adding to the existing knowledge) or as a non-scientific article (KF Plasma Times). If you are a student, come along and join us in the private classes to enjoy the new learning experience. Both students and teachers are encouraged to serve by teaching others and both teaching and learning has never been easier. If you decide to teach, you are not left by yourself, as the KF SSI Education team is here to help you in respect to any aspect of the teaching – be it technical aspects, pinpointing teaching materials or original teachings, and many other aspects. We are here to serve and to help others to serve. Interested? Perspective students can apply by visiting (http://keshefoundation.org/study-apply) and teachers can contact us via education (at) kfssi.org. Q1: Do I have to prepare a PowerPoint presentation if my teaching is based on a video playback? A1: No, you can simply talk about it or use the drawing board. Q2: What if I lack technical skills to prepare the teaching the way I want? A2: We are here to help and if you are committed to teaching, we are committed to help you teach. Q3: What if I am not able to share video content? A3: The host is there to assist you. Let them know which teaching and the precise timings and they will play it for you. Please join us in the new year and a new semester of the KF SSI Education Private teachings program. Q4: How long should be the teaching? A4: The teacher is expected to prepare 20min of content, which can be purely a video review or a PowerPoint presentation or a mixture of both. Q5: Can I do a workshop on how to build/prepare/apply something? A5: Sure, these types of teachings are extremely useful. Q6: What if there are no questions after the teaching? A6: You can either end the session, introduce some questions or other angles to the topic, or follow up with whatever students want to discuss. Q7: What if 20min is not enough for me to teach the topic? A7: You can do a series of teachings e.g. two, three, five. If you are over six, perhaps you want to turn it into regular teachings such as regular book studies or the soul teachings we have. Q8: I am already teaching in private English classes; do I need to change my ways? A8: No, unless you want to try something different. Practical and time efficient, this stress-free combo is all you need for a plasmagical experience. KF: What was the topic of the conference, how often is it held, what is the target audience? CU: The topic of the conference was “Wound Prevention and Treatment Congress”. The audience was health professionals, doctors, and nurses, people specializing in treating chronic and multi-species wounds! This congress is held annually, and it has an international character. KF: What was your role in the conference? 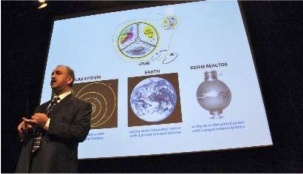 CU: My role at this conference was to take a new technique with a differentiated scientific character! The director M. B. invited me, to open the event for 3000 congressmen from all over Brazil and some speakers from outside Brazil! We are pleased to count on your participation in the scientific program of the 7th Brazilian Congress on Wound Prevention and Treatment, which will be held from October 31 to November 3, 2018, at the Convention Center of South America in Rio de Janeiro. Hours: 7:00 p.m. - 7:30 p.m.
As the director and organizers of the event mentioned “” It is necessary to establish new public policy goals guided by the intelligence apparatus of measures that produce real structural transformations decisive for the whole health system in order to become efficient and effective, through the implementation of some actions, generating significant results of quality of life for patients. 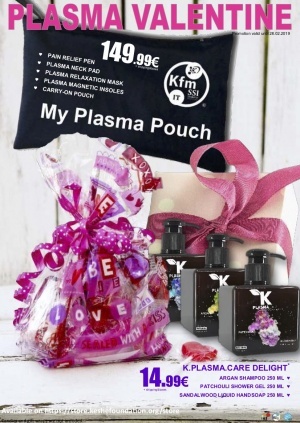 KF: Why did you choose to present Keshe Plasma Science and Technology? CU: I was invited to talk about my work and what I work for! As I currently only work with Keshe Plasma Science and Technology, I could only talk about the subject and tell them that with this technology we work. With the Magnetic and gravitational fields and that to be aware of these fields we have to be "present" in the "here and now" and from that everything in the lives of people would be different, and that everything is related to these fields of energy! KF: What was the reaction and feedback from the audience? CU: The reaction was the best that a job could have, it was incredible, the general public liked it very much, the presentation had a wonderful repercussion and due to it we had an invitation to participate in health programs with the federal government and due to the success of the presentation I was invited to attend this event next year giving a course on Keshe Technology and also attending other events, we received an invitation to give free courses in some universities! KF: What are your wishes for the future in relation to development in the Portuguese community? CU: I believe that from our participation in this event, there was a great opening for technology and how it works, my sincere wish is that we can from now we work with all this possibility open to us here in Brazil and we can benefit more and more people with this technology Wonderful! I am very happy, we had a lot of work here and thanks to the Team of the Portuguese Language (Directed by Pedro and Rui) we were able to advance much with the technology in several places of Brazil where we now have a repository of the Portuguese language with translations and translated works! 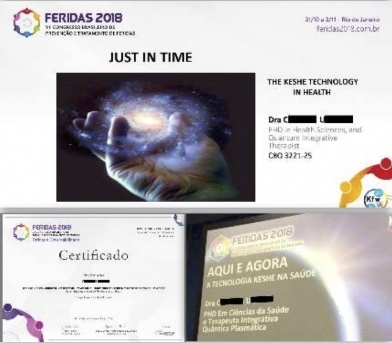 I also work in the health area in several places in Brazil, seeking to meet the largest number of people I can get along with this technology! Mr. Keshe, I just have to thank you for making this technology available. to the World, Gratitude !!! by Marcin Z., November 26th, 2018. Two weeks ago a cat scratched me. For a few days the wound looked normal and everything indicated that it would heal normally. 18th November morning the heat has become inflamed. There was a swelling and a red streak coming directly from the wound in the direction of the hand. For two consecutive days I instilled CO2 water directly on the wound to relieve pain and eliminate the infection. In addition, as far as possible and skills "I pulled out the fields" trying to balance the damaged place. On the third day the swelling clearly decreased, the redness completely subsided. The finger heals normally and in a few days there will be no trace of any wound. by Arthur, UK, January 8th 2017. 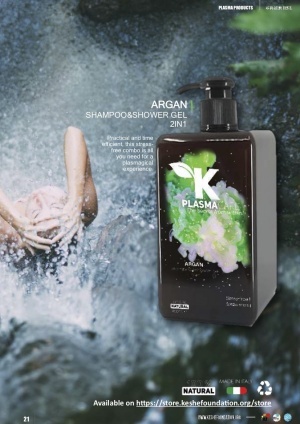 Amazing liquid plasma helped me when I injured myself at the gym; I had serious back and shoulder pain and I just could not move. I think I damaged bone and muscle tissue of my back. I think nerves too!! So I mixed in one patch CO2 / CH3/ CuO2 / Zn/ Calcium egg shell plasma and Amino acids from CO2 /CuO2/ CH3/ liquid plasma. Clean water NO MASS. Water in patches only is more than good enough! And I made weaker second patch with CO2/Zn only for FIELD flow between them. I put one patch on my back and other weaker patch on my chest and I went sleep for 8 hours and wake up totally blessed; pain gone, muscle tissues repaired, feel happy and amazed! You can heal serious injuries within few days time! Remember take your patches off from time to time, and spray yourself with CO2 and Zn liquid plasma to purify body fields. Thank you Keshe Foundation we love you!!! Firstly, you need to prepare. You can either document the work which has already been done and perhaps even presented by you in the testimonials meeting or website, or you can plan a new experiment. You should always be clear on what you are trying to achieve and document everything as you go (label and take pictures). Once finished, upload your Word, OpenOffice or PDF file onto one of the cloud or filesharing services, or even onto Facebook. Go to https://support.keshefoundation.org and from the drop-down menu select Plasma Scientific Journal Submissions and press Go. Through this website, you can either submit your work, ask a question or access resources and the FAQs. Any question? Get in touch with us via https://support.keshefoundation.org. Submit your publication today! Be the Creator and shine for others to see your beauties. *Candies and gift wraps are not included. This page was last edited on 23 January 2019, at 15:18.